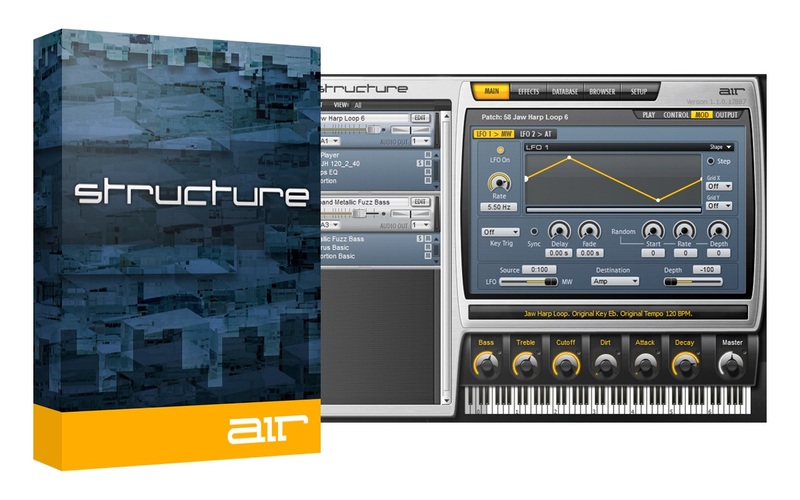 Structure comes with a massive 37+GB premium sample sound library from AIR Music Technology. This comprehensive collection equips you with almost every instrument imaginable, and includes AIR Music Technology's exclusive orchestral elements (strings, brass, woodwinds, and percussion), acoustic and electronic drums (including Nashville Signature drum kits captured from sessions at the famed Blackbird Studios), hand and pitched percussion, pianos and keyboards (including a new high-definition grand piano), choral sounds, guitars, basses, synth pads, synth leads, surround sounds, and atmospheres. 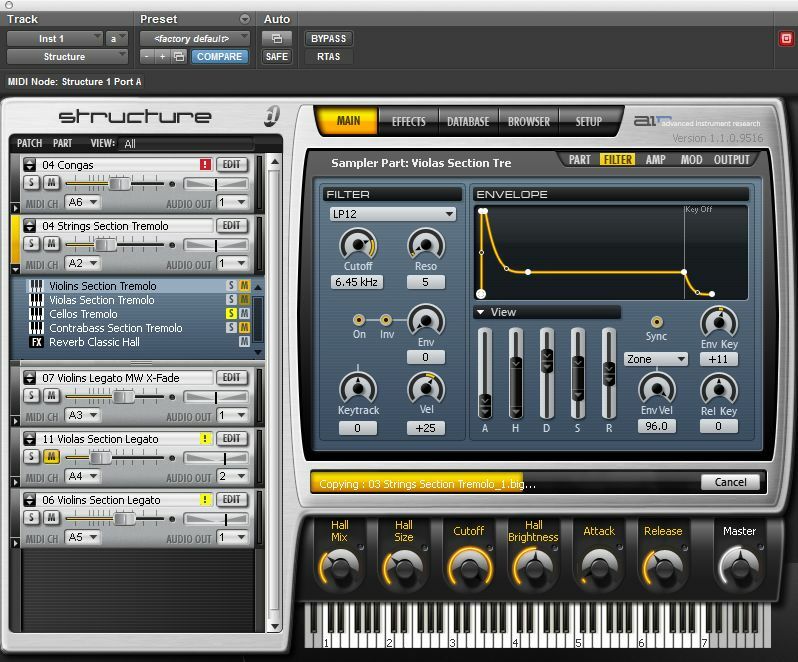 Structure features a built-in database and file browser to help you locate sounds quickly and manage your sound library. Search for sounds by instrument type, manufacturer, style, name, and more, and audition samples right in the browser to find that perfect starting point. You can also register, categorize, and edit any file's metadata to optimize your search results.